Apologies again for not getting back sooner. The girls are just wonderful and a great delight. 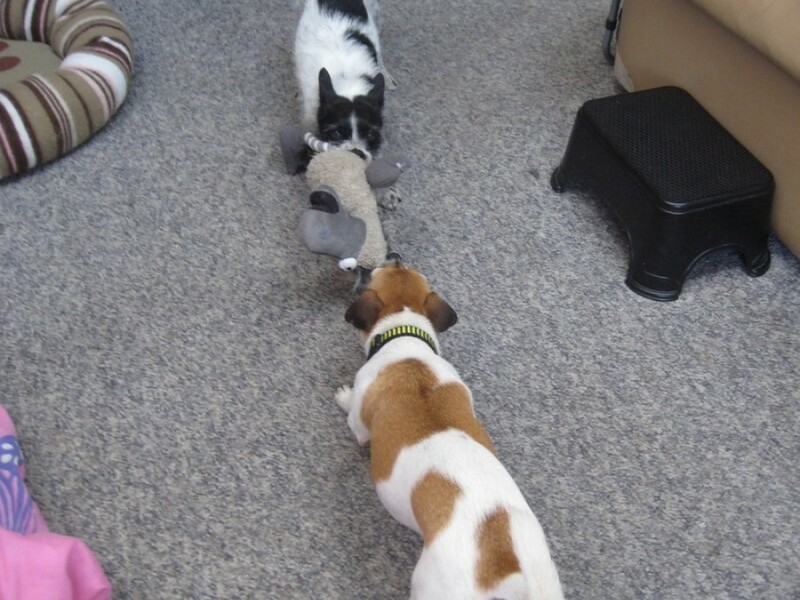 Both love their walks and tug of war games. Winnie can now walk her off the lead, I still have missy on the long extendable one, she doesn’t seem to mind it. Just want to thank you again for allowing me the opportunity to adopt these beautiful little girls. They have been a great joy to me, especially after dealing with the loss of my little foxy this year who I had for 12 years. . You can all rest assure they are in good hands and they will have a wonderful life.